Very often, during the refurbishment of period properties, the traditional lath & plaster ceilings are stripped-out, sometimes, on the assumption that a dry lined ceiling (with the benefit of modern materials) will perform more efficiently, in terms of controlling airborne sound passage. In fact, the opposite tends to be true; the overall mass of a lath & plaster ceiling typically exceeds that of a plasterboard ceiling, even when double-lined. Moreover, because construction rubble and waste was generally swept between the joists, atop the supporting laths, the ceiling’s mass was further increased (often way beyond its constituent parts). 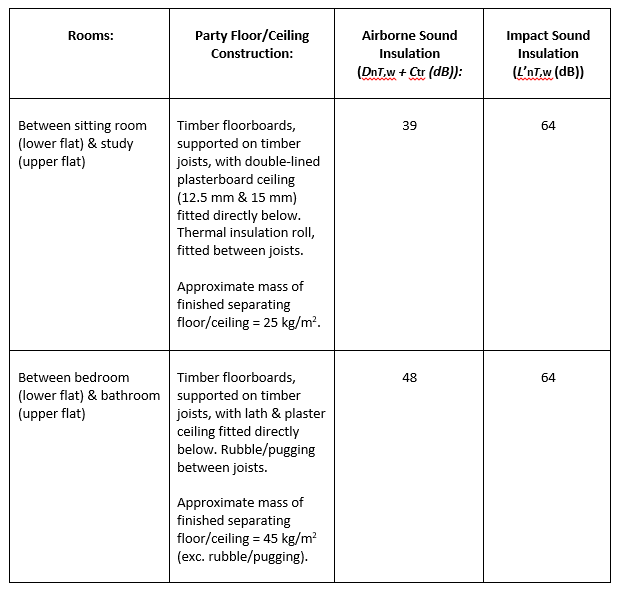 Note: airborne sound insulation measurements were performed to BS EN ISO 140-4: 1998 and impact sound insulation measurements were performed to BS EN ISO 140-7: 1998. 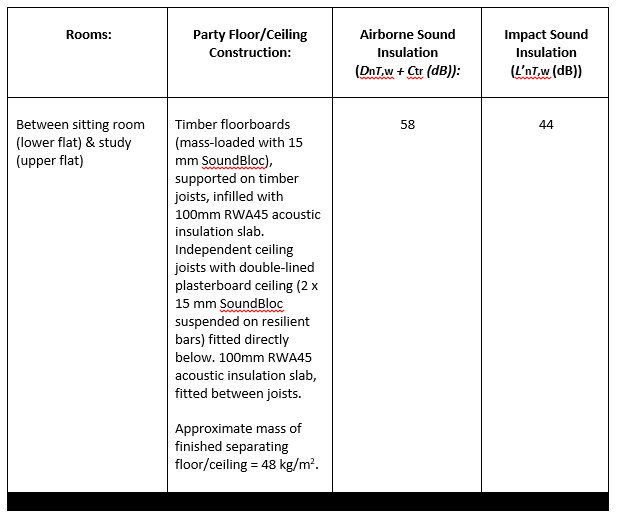 In this instance, it was decided that the plasterboard ceiling should be replaced, to improve its airborne sound insulating performance, more in line with the adjacent lath & plaster ceilings. This entry was posted on Saturday, March 30th, 2019 at 3:30 pm	and is filed under Soundproofing News. You can follow any responses to this entry through the RSS 2.0 feed. Both comments and pings are currently closed.